China's main share index closed down by more than 5% after several major brokerage firms announced they were under investigation. The Shanghai Composite index ended the day 5.5% lower at 3,436.3 points - marking its biggest drop since August. 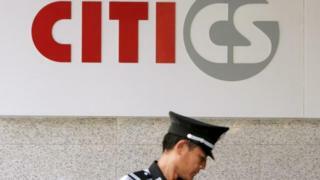 Late on Thursday, it was announced that China's securities regulator was investigating the country's largest brokerage, Citic Securities. The firm is being probed over the possible breaking of market rules. Rival brokerage Guosen Securities is also being investigated, and shares in both Citic and Guosen fell by 10%, the maximum allowed in one day. In addition, trading in China Haitong Securities shares was halted and later in the day the firm also confirmed it was under investigation. Chen Xingyu, an analyst at Phillip Securities, told the AFP news agency: "The biggest reason for such a sudden drop today is because of regulator's investigation of the top brokers. It has triggered a broader sell-off." Analysts said there was little information on the specific reasons for the probes other than violations of securities regulations. But the Reuters news agency reported that the Chinese regulator was urging brokerages to stop financing investors' stock purchases through swaps in an attempt to curb leveraged trading. A crackdown on leveraged and margin trading has been underway since the Chinese market's dramatic plunge over the summer. Market sentiment was already wavering ahead of a new batch of initial public offerings set to make their debut next week. More negative economic data on the Chinese economy also did little to boost investors' confidence, with government figures showing that industrial profits in October fell 4.6% from a year ago. The fifth consecutive decline in profits earned by Chinese industrial companies added more fuel to concerns over a slowdown in the world's second-largest economy. "Surplus inventory is the ghost which is haunting profits," economists from Minsheng Securities said in a note. "The road ahead to destocking inventory is long and slow." The bad news spilled over to Hong Kong, where the benchmark Hang Seng index finished down 1.9% at 22,068.32. The index fell 3% over the week, its worst weekly performance for two months. In Japan, the benchmark Nikkei 225 index closed down 0.3% at 19,883.94. Data released on Friday showed the country's core consumer prices index (CPI) recorded its third straight month of falls - down 0.1% in October from a year earlier. Household spending in the country fell 2.4% during the period. On a brighter note, jobs numbers indicated the country's jobless rate may fall in the near future. "Taking the labour market first, the unemployment rate fell from 3.4% to a twenty-year low of 3.1%... [which] suggests that the jobless rate may drop below 3% in coming months," said Japan economist Marcel Theiliant. "However, today's other data were rather disappointing," he said. "Core household spending dipped by 0.4% month on month in October following a 1.8% month-on-month decline in September. In South Korea, the Kospi share index closed down 0.08% at 2,028.99. Australia's S&P/ASX 200 ended the day 0.2% lower at 5,202.60. Sydney-listed shares of mining giant BHP Billiton closed down 0.9%. On Thursday, the United Nations said the dam burst at the Samarco mine in Brazil earlier this month had unleashed a flood equivalent to "20,000 Olympic swimming pools of toxic mud". The dam is a joint venture between BHP and Vale. However, BHP has said the mud spilled was not toxic.